View, Decorate and Markup Your Designs! Envisioneer Express is a view and markup tool for Envisioneer models. When you first download the product it will give you 30 days to test drive the full design product and then it will revert to the viewer only tool. As a viewer you can open a .bld file and view it in 2D and 3D. Move the furniture, change the materials, add notes to the plan. Upload to the VR app for the ultimate experience. Open Envisioneer models or the samples that install with Envisioneer Express. Pick new colors and materials, move furniture on the fly to try out endless possibilities. A home design viewer that is easy to use and fun! Get a complete view of what your design will look like in 2D and 3D! Create stunning photo realistic images to share or upload to a VR environment! 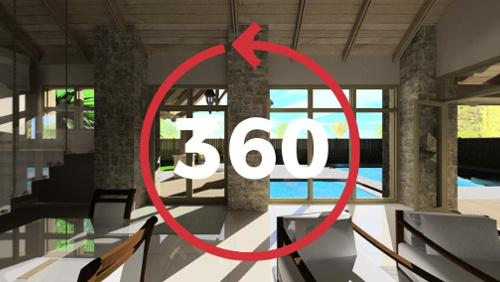 This state of the art home design viewer lets you visualize your designs with real shadows, reflections, seasons and times of day. See our gallery for examples. Virtually walk through the model and share it by uploading your model to the free Envisioneer VR app for virtual tours! This innovative tool is the ultimate home design software. Whether you’re renovating or adding a room, or building a new home from the ground up, Personal Architect home design software has everything you need to create your dream space quickly and easily. Simply ‘point and click’ to draw walls and insert building elements. You’ll have a complete house in only minutes! Or have the House Builder Wizard build a house for you instantly based on your specifications. It doesn’t get any easier! Once the shell is in place you can drop in just about anything – cabinets, plumbing, lighting, furniture, landscaping, and more. 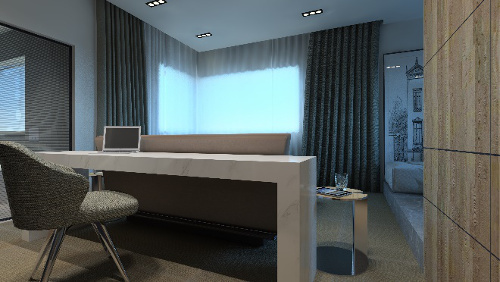 Switch to a 3D view at any time to see what you are creating and get a true feel for the space. When it’s time to customize and personalize, apply paint, fabric and finishes to elements with the click of a button. Why waste time trying to learn complicated design software? Personal Architect’s simple, user-friendly interface lets you get started right away. No design experience? No problem. All you need is a computer, a mouse, and an idea! Envisioneer Express is a view and markup tool for Envisioneer models. As a viewer you can open a .bld file and view it in 2D and 3D. Move the furniture, change the materials, add notes to the plan. Personal Architect is a home design software program created to design and visualize your home exteriors, interiors and landscaping using a virtual Building Information Model (BIM). This easy to use software is used to create new structures, remodel interiors and landscape your property in complete vivid 3D. BIM stands for Building Information Modeling. It is the approach to design that uses an intelligent 3D model for the design, development and exchange of intelligent digital information for buildings and it is transforming the way the construction industry uses and communicates with each other. What if I need to do working drawings and estimating, is there an upgraded version I can use? Yes, Personal Architect is the next step in the Envisioneer product line. It will give you the ability to model the space. Our ProArchitect version is the next step up that gets you full working drawing capabilities. If you need estimating too, then Building Essentials is a good match for your needs. The best part – they all have the same core technology so your projects can be opened in any of the products. For a comparison of all of the Cadsoft products and their capabilities, review our comparison chart. Note: Your user account should be set to Computer Administrator (not Limited) to install the program. *System Configuration: May require minor adjustments to the configuration of your operating system and /or updates to the hardware component drivers. **Additional system and video memory will improve speed and 3D RealView™ rendering capabilities. ***User is responsible for all Internet access fees and phone charges. Where can I get help when I need it? Cadsoft offers a community where you can post your questions and get help from industry experts all over the world. Visit https://www.cadsoft.com/community-posts/ to register. 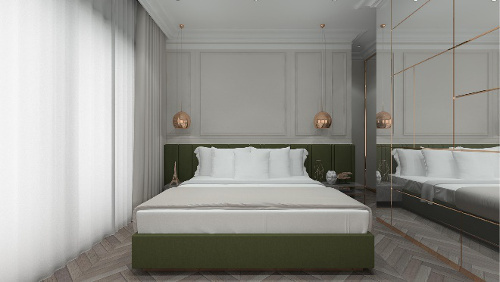 Can Envisioneer Express create high quality renderings? Yes, Envisioneer Express uses high quality rendering technology that uses actual light sources to create shades and shadows. You can even specify your location on the earth, time of day and see how the sun will cast shadows on your home and property. How can I print my designs? Envisioneer Express can print in different scales to any size depending on the printing device being used. We can print to any printer that uses a Windows® driver whether connected to the computer or directly or through a network.